Prices are based on diameter and color design used. The Spirit Ball, also known as a Witch’s Ball, is a tradition that dates back to 18th century England. Hand blown glass balls were hung in windows to ward off bad energy. 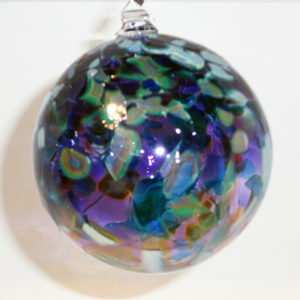 The threads or glass stringers inside each ball were said to capture all evil spirits and keep them from entering the home. 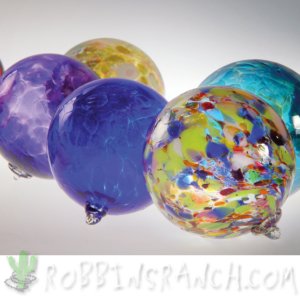 Our Spirit balls are all hand blown glass and no two balls are alike. 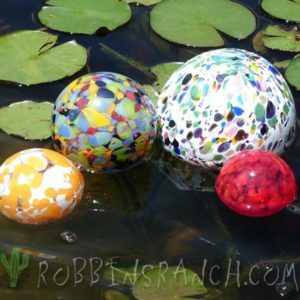 We make them in a 4.25″ and 6″ diameter with solid colors or one of the Robbins Ranch color mixes. 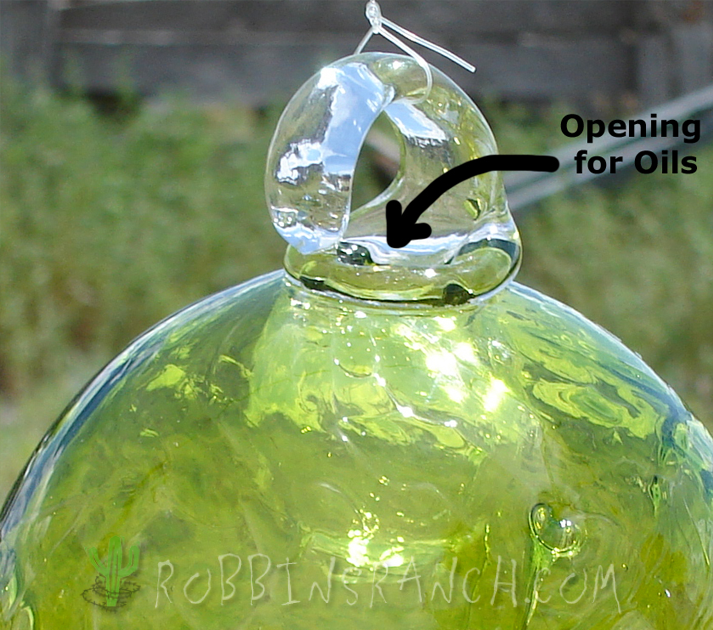 A unique feature of our Spirit Ball is the second inner bubble underneath the loop, that holds essential oil. This inner bubble makes each one function as a scent atomizer. Simply put a few drops of the oil into the top pocket with an eye dropper. 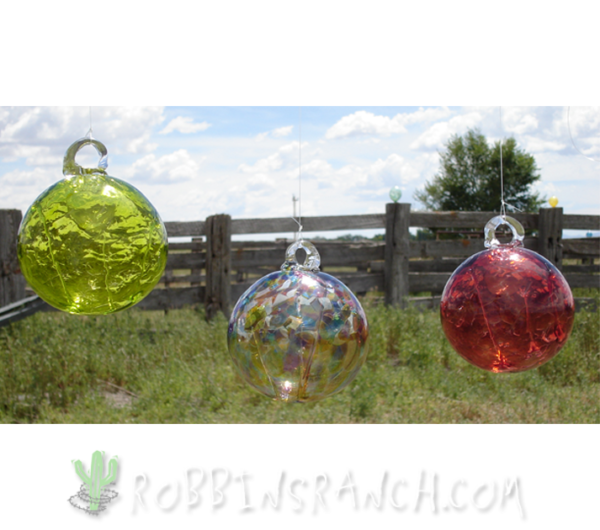 If you hang it in a sunny window, the ball will emit a light fragrance as the oil warms up.